Help defend skin from daily exposure to the sun and environment with a light, SPF and vitamin-infused moisturizer. 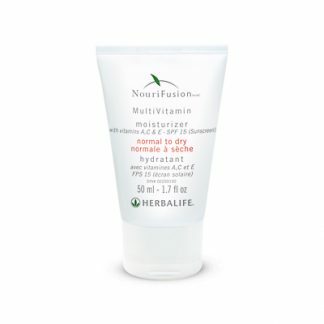 It helps nourish skin leaving it feeling soft, smooth, clean and renewed. Moisturizes and hydrates skin, leaving it soft and smooth. SPF 15 protection. 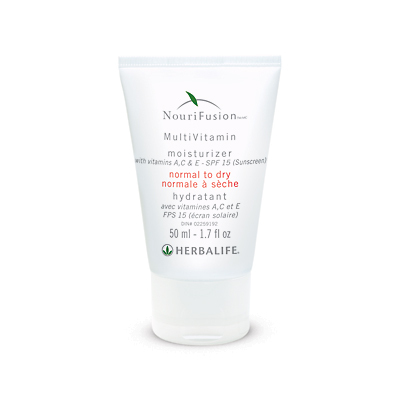 Contains Vitamins A, C and E.
Vitamin-infused formula nourishes and moisturizes. 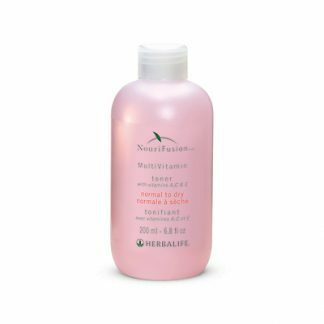 In the morning, gently massage onto skin after cleansing and toning. Apply before exposure to sun. 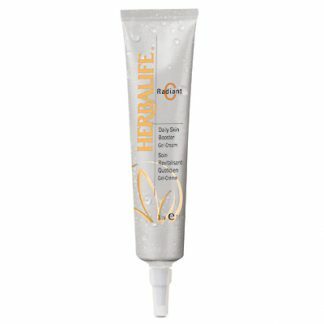 Made with antioxidant vitamins A, C and E and offers protection from ordinary, daily sun exposure. Contains broad spectrum UVA/UVB sun protection at SPF 15, the level dermatologists recommend most. 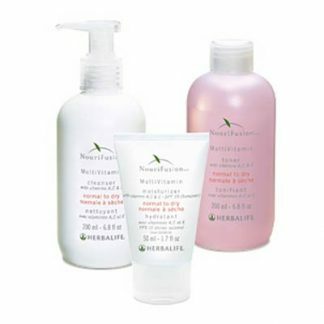 You're viewing: Herbalife NouriFusion® MultiVitamin Moisturizer SPF 15 Please login or register to see price.